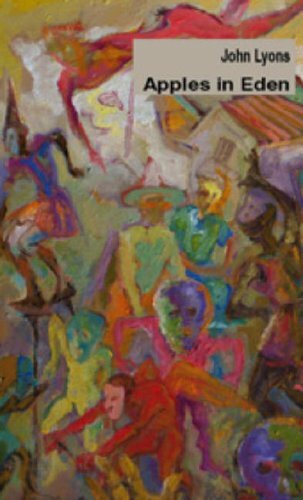 John Lyons is a painter and poet, born in Port-of-Spain, Trinidad and Tobago. When he was nine, his mother died after a short illness and he and his three siblings moved to rural Tobago to live with his grandmother. There, he discovered and sought refuge in the works of Walter Scott, Conan Doyle, and any other author he was able to find in the library in Scarborough. In 1948 he returned to Trinidad to live with his father and stepmother. After successfully passing the Senior Cambridge exam, Lyons had to forego further study to lessen the financial burden of his family's education costs. He passed the Civil Service entrance examination and worked for five years in the Civil Service, during which time he continued with his passion for writing and painting. In 1959 he was accepted into Goldsmiths College in London, and graduated in 1964 with a National Diploma of Design. He gained an Art Teachers’ Diploma at the University of Newcastle-upon-Tyne in 1965; his first job was at South Shields Grammar Technical School for Boys. In 1967 he moved to Manchester where he worked in secondary schools for nine years, before becoming an Art and Design lecturer in South Trafford College. He taught at the college for seventeen years, all the time continuing with his writing and painting. In 1987 he won a clutch of poetry prizes: second prize in the Cultureword Poetry Competition; the Peterloo Poets Afro-Caribbean and Asian prize; a commendation in the National Poetry Competition, and in the Peterloo Poetry Competition. Lyons was co-founder of the Hourglass Studio Gallery in Hebden Bridge, West Yorkshire, where he directed art and Creative Writing workshops with his partner Jean Rees. The arts educational limb of the organisation became a charity, and he remained on the Board of Trustees until 2009, when it lost its Art Council funding in the general cuts. 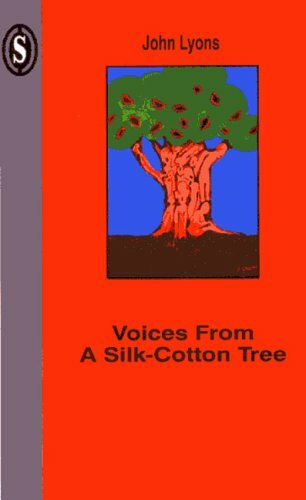 His first full collection of poems, Lure of the Cascadura, was published in 1989 by Bogle L’Ouverture Publications, for which he received a major Arts Council award. In 2003 he was given the WindRush Arts Achiever Award. 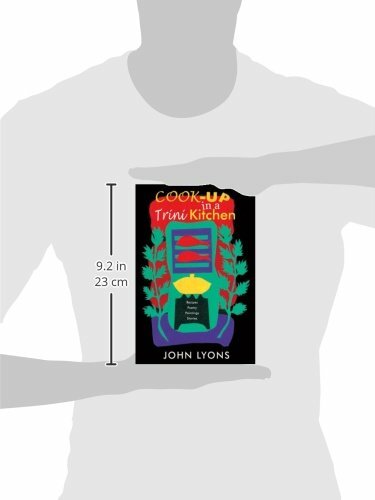 His most recent collections are Voices from a Silk-Cotton Tree (Smith/Doorstop, 2002), No Apples in Eden (Smith/Doorstop, 2009), and Cook-Up in a Trini Kitchen (Peepal Tree, 2009). In these recordings, Lyons' performance of his poems highlights their subtle yet powerfully rhythmical musicality. The Poetry Archive has featured a selection from both his poetry for adults and for children, and while all exhibit a relish of the expressiveness of sound, this talent is deployed to different effect in the two strands of Lyons' work. In 'Hauling in the Seine' and 'Mantis', the tight rhythms and assonant percussiveness give a braced energy to the spare patterns of the pieces. In his poetry for children, these same gifts are played to great comic effect, Lyons' readings adding warmth and exuberance to enjoyable, affectionate poems that travel back to the vivid colours and sounds of his childhood in the Caribbean. The best of both these approaches might be discovered in 'Ancestors Say Goodbye': a moving, song-like poem that enacts the departures and returns of the traditions and places the poet has both left and continues to live among. This recording was made for The Poetry Archive on 19 November 2012 at Soundhouse and was produced by Anne Rosenfeld.